The Active Cosmetics division and the divisions Consumer Products and Professional Products historically had their own SAP systems. The goal of the project was to merge these two systems into a single client and map the two business divisions under their own company codes. 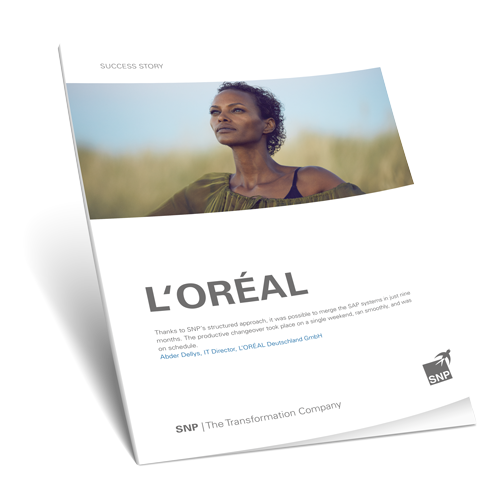 L’Oréal decided to implement this project with the SNP System Landscape Optimization Method. The consolidation expertise of SNP and the SNP System Landscape Optimization Workbench software tool were used.